Sorry to have been gone for a couple of weeks but life got extremely busy all at once. To make it up to you, I’ve baked cookies! 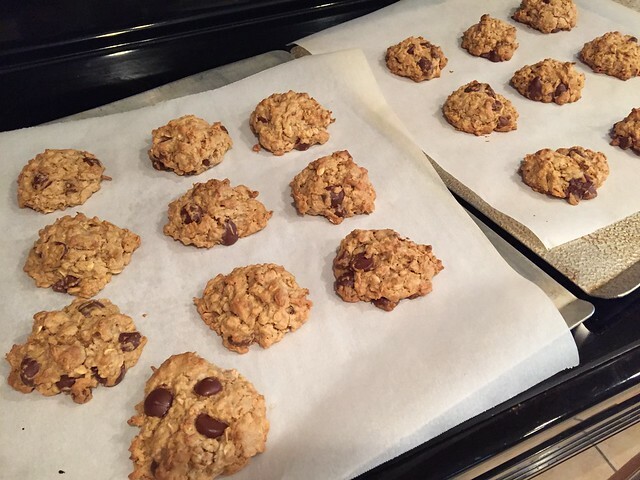 And not just any cookies…cookies that are gluten free but SO GOOD that everyone will want to eat them. I’ve made you PB2 Monster Cookies. Do you know about PB2 or other dehydrated peanut butter powders? (Some Costcos also sell the organic Honeyville brand.) It’s a pretty nifty product – dehydrated peanut butter made into a powder. It has less fat and fewer calories than traditional peanut butter and if you’re gluten free, perfect for baking as a substitute to flour. 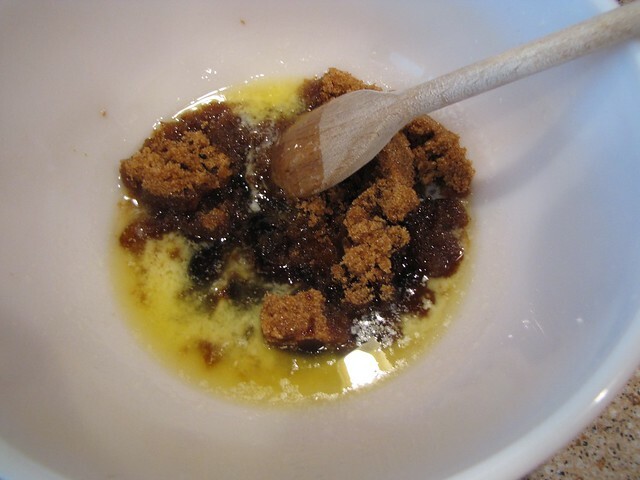 Melt 1 stick (½ cup) of butter in a microwave safe mixing bowl then stir in 1 cup of lightly packed brown sugar. 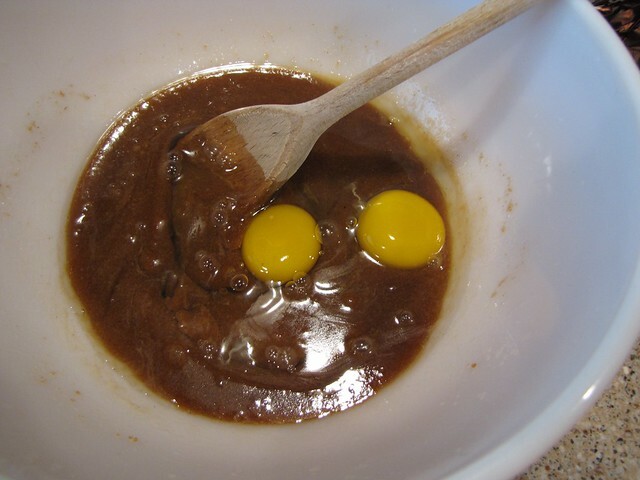 Add 1 Tablespoon of vanilla and 2 eggs. If you’re using unsalted butter, add a pinch of salt. 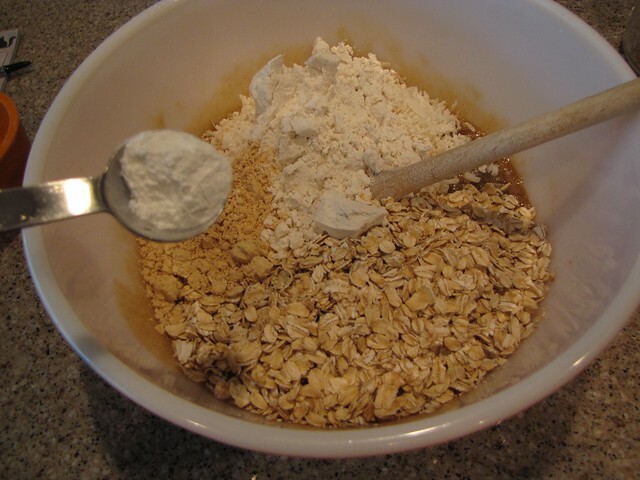 Then add the dry ingredients: 2 cups of oats (old fashioned please, never instant), 1 cup shredded coconut, 1/2 cup peanut butter powder, 1/2 cup GF flour (or regular all purpose flour), and ½ teaspoon baking powder. 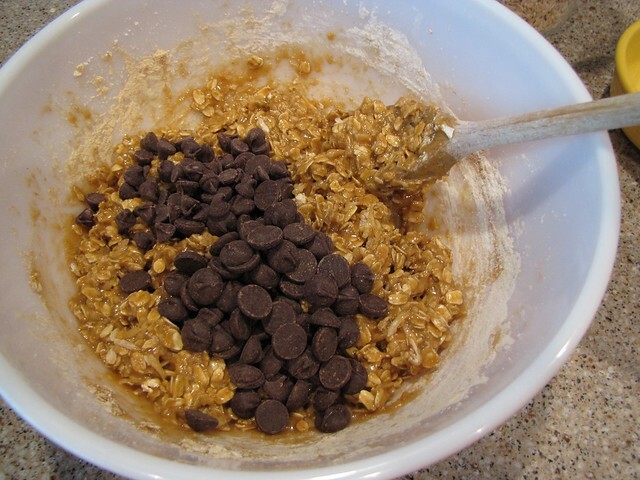 Stir all of the ingredients until well combined then add ¾ cup of good, dark chocolate chips. I like the Ghirardelli bittersweet chocolate chips but you could also use semi-sweet if that’s more your style. Stir to incorporate the chips into the cookie dough. 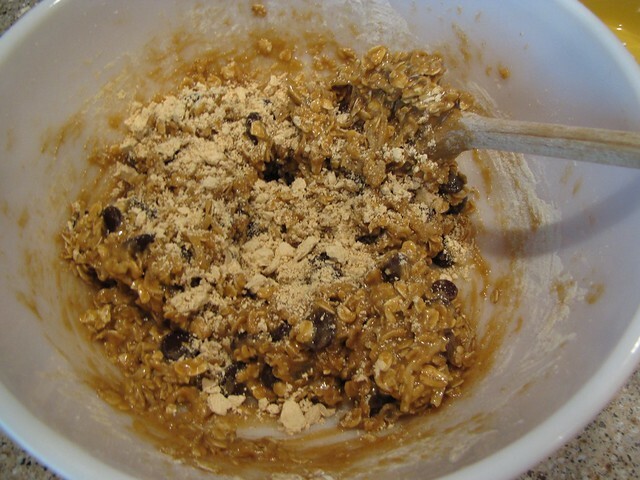 This dough will still be wetter than most cookie dough but it should hold together fairly well when you scoop it out of the bowl. You can see in the photo below that my dough is still a little bit too sticky. If that’s the case, you can add extra peanut butter powder 1 Tablespoon at a time. 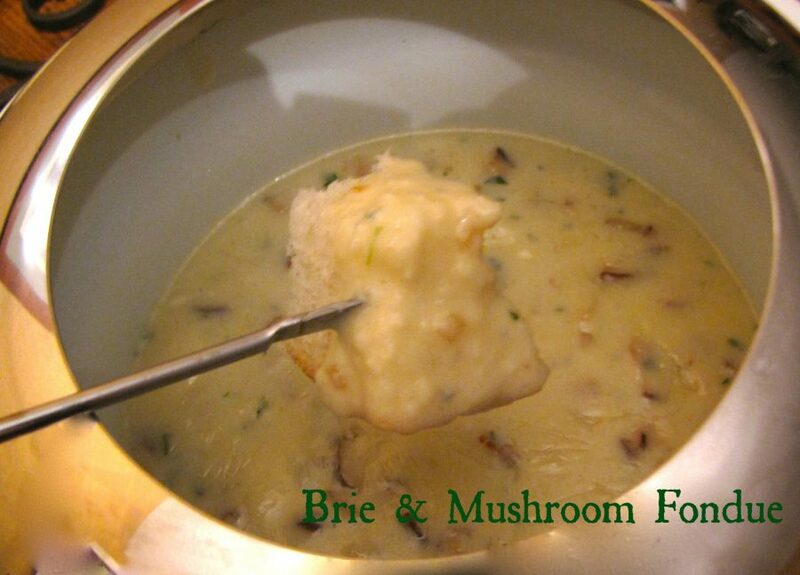 I almost always add 1 Tablespoon…usually not more than that. Stir in in and make a test scoop. You should be good to go. 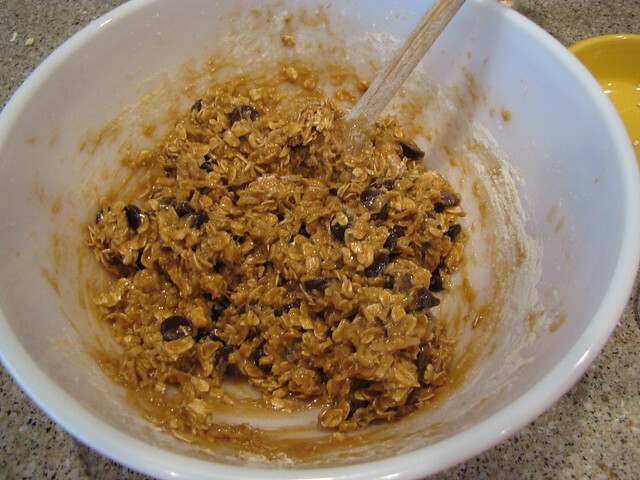 Use a cookie scoop or spoon to make mounds of cookie dough on parchment lined baking sheets. These cookies don’t really spread so you can put them a little closer together without worry. 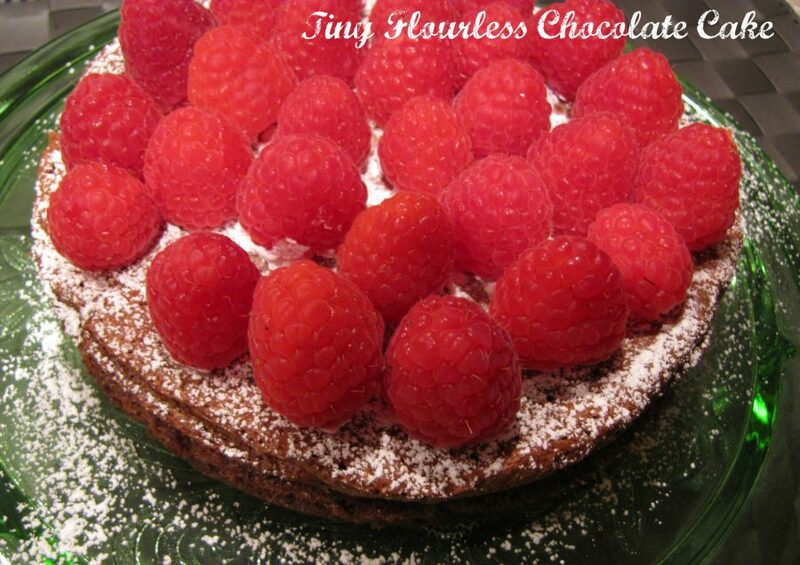 Don’t crowd them togther too much though – we want the air to be able to circulate around the cookies as they bake. Bake at 350° for 20 minutes until lightly golden brown. Don’t over bake these cookies – they will continue to set up as they cool. 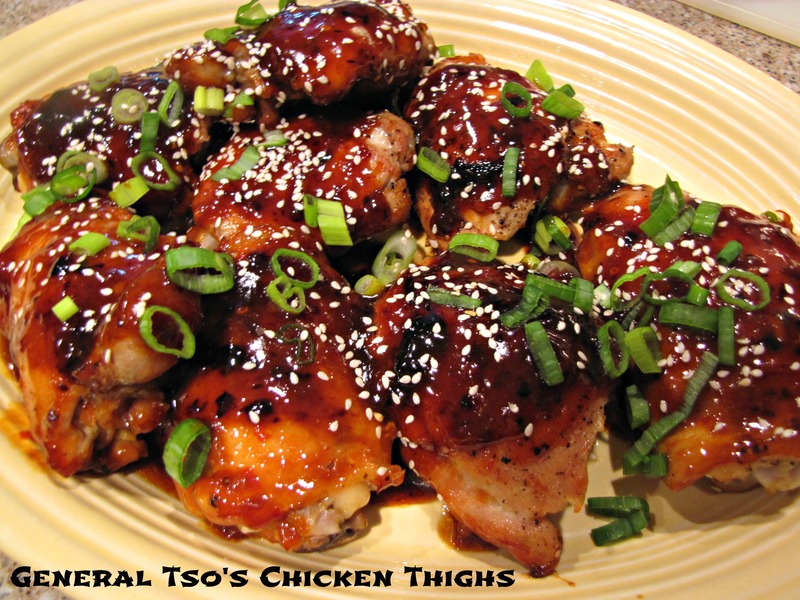 Cool on a wire rack or eat them hot off the pan and burn the roof of your mouth. 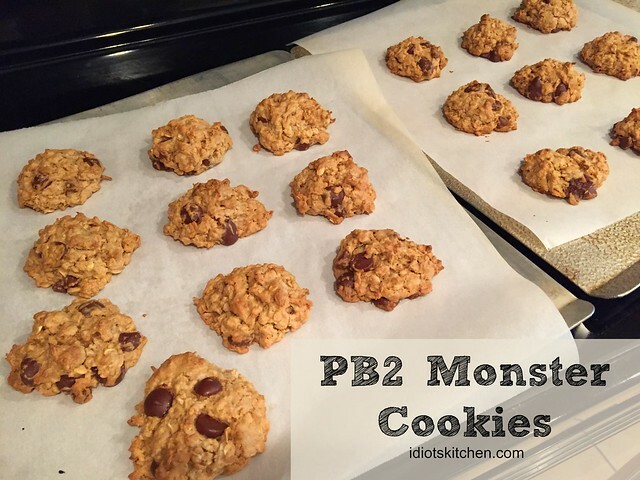 PB2 Monster Cookies are another version of my friend Jen’s Famous Gluten Free Cookies. I love that the peanut butter powder (PB2) gives me another option for gluten free baking. 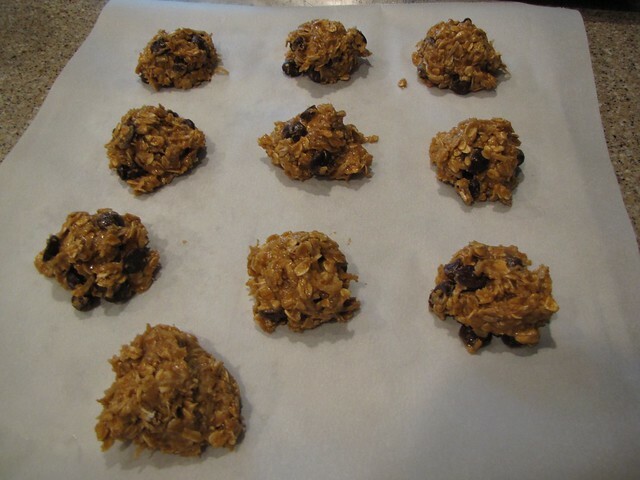 These had a nice light peanut butter flavor and the oats and coconut make them robust enough to pack as a snack. 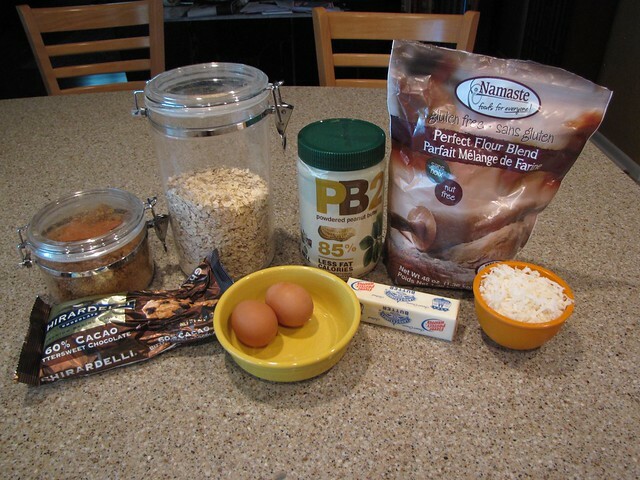 Once you try PB2 or other peanut butter powders, you’ll find all kinds of fun ways to use it. Stir a spoonful into vanilla yogurt and maybe add just a tiny dollop of your favorite jelly too. So good. You can also sprinkle it over ice cream or use it to make a Penaut Butter Banana Smoothie. I’m definitely throwing some in the backpack for the next camping trip. Just add water and you have peanut butter! It’s pretty amazing stuff. Here are your cookies! Pour yourself a glass of milk and let’s have a chat to catch up. If you’d like, I’ll even show you my crazy alligator video! Those look tremendous. It should be noted, though, that most oats are gluten contaminated but you can buy the non-contaminated variety if you know where to look…and that a percentage of people with celiac, like me, cannot tolerate any oats. I know, a lot more info and complications than you asked for, right? TRUE! All Gluten Free people and ESPECIALLY Celiac people should be very cautious. I’ve started describing things as Gluten Free-ish. Glad I can still eat oats but there is a lot to learn. Thanks for the tips! Thank you! These are amazing! 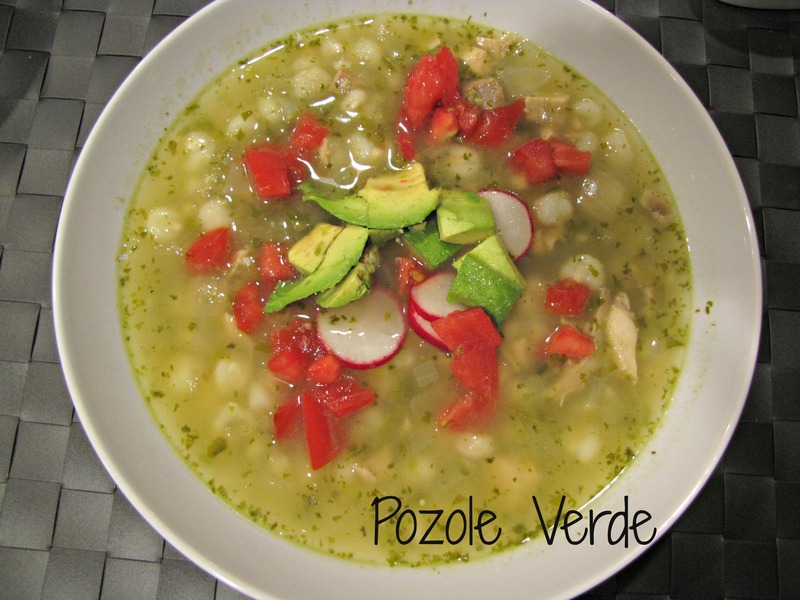 Exactly what I was hoping for/craving!